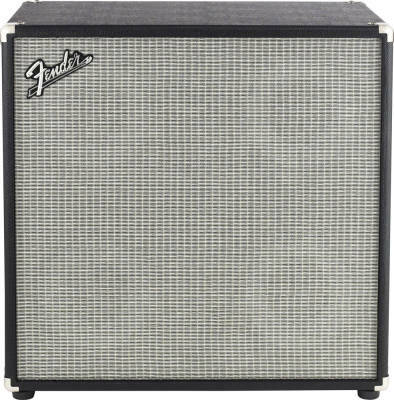 Fenders Bassman 410 Neo cabinet delivers the full, tight and punchy bass sound you'd expect from a 4x10 enclosure, and does it with sparkling vintage Fender looks and a remarkably lightweight design. 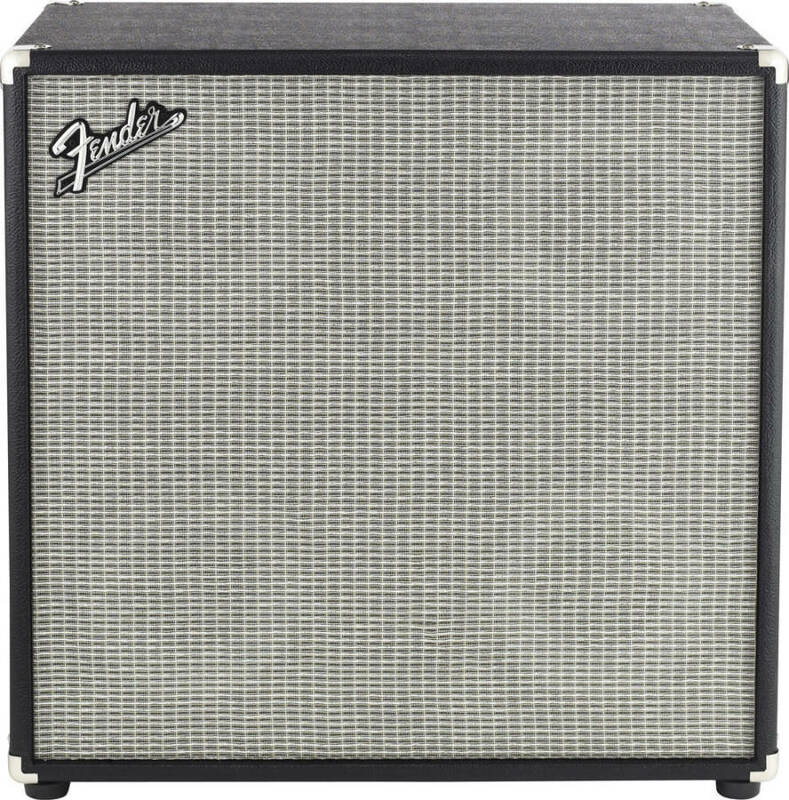 Features include four 10 Eminence U.S.A. neodymium-magnet speakers, compression driver horn with attenuator, lightweight plywood enclosure with classic late-60s/early-70s Fender blackface styling and Speakon connectors, removable casters and spring-loaded heavy-duty handles for easier transport. Rated at 1,000 watts program (500 watts continuous) at 8 ohms. Had this for 2 years now, no issues at all. It is very light and easy to lug around. Excellent look and finish. Sounds good to my ear. I use it with a Bassman 100T I would give it a perfect score but I do find Fender products to be expensive, the quality is there but so is the cost. 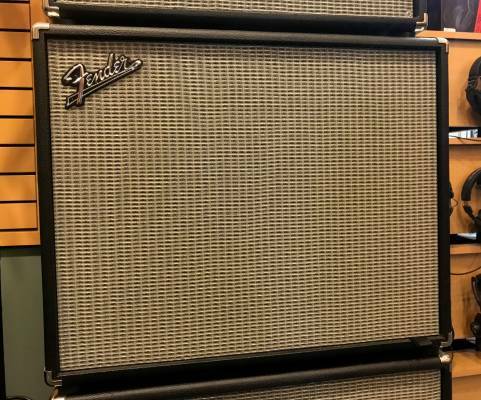 I really feel Fender could lower they pricing and still turn a hansom profit but then again what do i know about business.